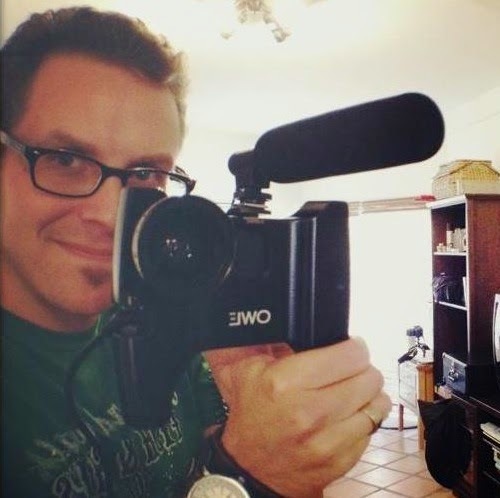 If you want to become a filmmaker, and I do mean really-really want to become a filmmaker, then if I was you, I'd devote a sizable portion of my life to making films. I mean, just take a look at my mate William Dickerson. Because did you know that for him to actually make it in the industry, he had to do one of my silly-silly interviews? Yeah. Straight up. Just check this out for the full 411. 1) What are your own origins, William? Plus what path did you take in life prior to getting to where you are today? 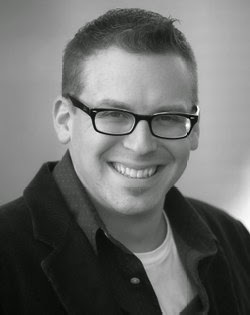 I grew up in Yonkers, New York (the second hilliest city next to San Francisco), went to college in Worcester, Massachusetts, and moved to Los Angeles in 2004 to attend the American Film Institute as a Directing Fellow. 2) What inspired you into becoming a filmmaker? "Twin Peaks" the television show. Ironic, I know, because it made me want to make films. The first episode I watched happened to be one of a handful of episodes that was directed by David Lynch. I had watched a lot of movies and seen plenty of television before then, but this was the first time I recognized that there was a creative mind behind it all, who was in deft control of my emotions. At that moment, I knew I wanted to learn how to do whatever he was doing. 3) Can you briefly tell us about some of the films you've made? 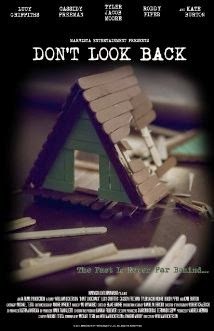 I've made a lot of shorts, and, most recently, three feature films: "Detour", "The Mirror", and "Don't Look Back". 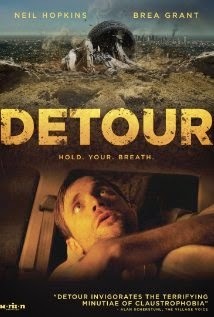 "Detour" and "Don't Look Back" are thrillers, the former is a disaster thriller, the latter, a psychological thriller. "The Mirror" is a meta-fictional satire, in which I play a filmmaker making a movie about a character who recreates scenes from other movies. 4) What song would you say best represents your style of filmmaking and why? What a great question. That's the wonderful thing about music: it transcends words. It's about as pure an emotional state as art can achieve. Although, I can't pick a song that's been in a movie: that wouldn't fully represent me and my filmmaking. And I can't choose something "classic" either, because that might date my style, or my relevance, per se. Plus I can't choose something original (I'm a musician that's played in a band for most of my life), that would be too subjective of a choice. "Pimptooth" by Bri Da B. Bri Da B was a gangsta' rap, punk rock, performance art persona that my sister created and performed as, and "Pimptooth" was one of her best tunes. My sister passed away last year and she has inspired, and will continue to inspire, my work as a filmmaker. For instance, her persona has inspiration for the main character in my novel, "No Alternative", which I'm currently working on adapting into a film. 5) If you could get a celebrity – either living or dead – to promote your wares, who would you choose, and why would you want to choose this particular person? The ShamWow guy, perhaps? Actually, it might be Jack Walsh, who was a renown pitchman and wonderful character actor who starred in such movies as "Eraserhead", "A Simple Plan", and "The Straight Story". I had the pleasure of working with Jack on several films. 6) What have you learnt about yourself through this endeavor? I would have to say patience. It took 5 years to make my first feature, "Detour", and I learned an incredible amount about making movies, and about myself, during the process. 7) During your time in this field, what is the one thing that has kept you in good stead? Making that first feature film and making it the way I wanted to make it. That's been the most valuable asset to me as a director. It's critical that your first mass-market venture in filmmaking is an accurate representation of you and your sensibilities as a filmmaker, because that single movie will often define your style for years to come. 8) If you had a personal motto, what would it be? With respect to making movies: Nothing is real until either (1) the money's in the bank, or (2) a camera's rolling on set. And on that film-mick note, dear reader, I'd like to thank William for telling us about his life as a filmmaker, before directing you towards his website and amazon pages.